﻿﻿﻿﻿Landcare Victoria oversees 10 divisions within the state of Victoria. 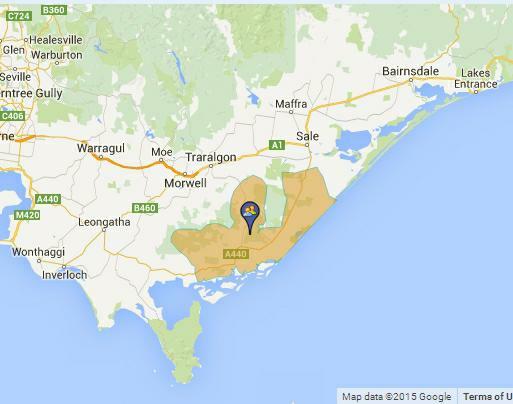 One of these Divisions is West Gippsland. West Gippsland oversees 5 District Landcare Networks. One of these districts is the Yarram Yarram Network. The Yarram Yarram Landcare Network (YYLN) was established in 1995 and covers a diverse area of approximately 218,838 hectares. YYLN stretches from the temperate rainforests of the Strzelecki Ranges to the Ramsar listed wetlands of Corner Inlet and Nooramunga Marine and Coastal Park, encompassing the Giffard Plain, along the Ninety Mile Beach to Seaspray. sustainable agriculture and environmental education. The Landcare Groups provide a framework for locals to get together. The YYLN is a not-for profit, incorporated association, managed by a volunteer board (made up of local people) who ensure the organisation is well governed, provide strategic direction for the region and representative of the local groups. For more comprehensive details refer to the following pages.